RapidSSL and GeoTrust have always issued SSL Certificates with a single "machine" license and it was necessary to purchase additional licenses for additional servers. Now, Unlimited SSL server licenses are a standard feature for their full range of SSL Certificates including Domain Validated SSL, Business Validated SSL, Extended Validation SSL and Wildcard SSL Certificates. This allows for a single SSL Certificate to provide protection across an unlimited number of servers without incurring additional per machine licenses. Utilize a number of servers for load balancing variable amounts of web traffic. If you have already purchased a RapidSSL, GeoTrust or Thawte the change in licensing structure will be immediate and retroactive. Click the following links for additional details about GeoTrust SSL Certificates Thawte SSL Certificates or RapidSSL Certificates. 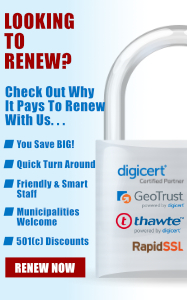 A low priced GeoTrust SAN Certificate with 4 SANS issued in minutes with an extended warranty and a dynamic True Site Seal. With a GeoTrust True BusinessID Multi-Domain certificate, you can add, edit, or delete up to 100 domain names over the lifetime of the certificate. Add, edit or delete any additional domain names to the Subject Alt Name (SAN) field during the enrollment process or at anytime during the lifecycle of the certificate. Prices above reflect purchase of initial license and 4 additional domains for a total of 5 domains. 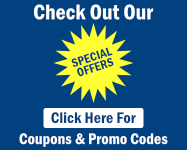 Up to 100 domain names are possible at an additional cost. With a GeoTrust True BusinessID Multi-Domain with EV certificate, you can add, edit, or delete up to 100 domain names over the lifetime of the certificate and get the aded protection of Extended Validation. EV SSL Certificates trigger the 'green bar' in high-security web browsers. Secure your web server with an SSL Certificate from RapidSSL. The lowest cost provider of highly trusted stable & single root (no complex chained root installations) 128 / 256 bit SSL Certificates (RapidSSL owns all of their own Root Certificates!) suitable for lite and professional level ecommerce - fully supported by telephone, email and web and delivered immediately without the need for faxed paperwork! RapidSSL Certificate Stable, 128/256 bit single root install SSL Certificates ideal for lite ecommerce. Automated 2 step validation gives you your certificate immediately without the need to fax in paperwork. 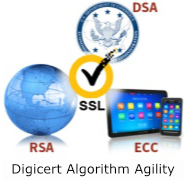 The lowest cost single Root Certificate available! When online customers feel secure, they are more likely to complete a purchase or personalize their profile and return to your website. What inspires confidence online? An SSL Certificate from a globally recognized certificate authority such as Thawte. Expert multilingual support, a robust authentication process, and easy online management make Thawte SSL Certificates the best value for securing your website. Thawte SSL123 Certificates Thawte SSL123 Certificates have the fastest issuance time to quickly enable encrypted connections to your web server. This domain-only validation SSL Certificate provides up to 256-bit encryption for intranets, mail servers, and other web-based applications that are not at risk for phishing or fraud. SSL123 Certificates include domain authentication, the Thawte Trusted Site Seal, free reissues, and a 30-day money back guarantee. Thawte SSL Web Server Wildcard CertificateThawte Wildcard SSL Certificates secure multiple subdomains with a single SSL Certificate, reducing management time and cost. Using the wildcard notation (an asterisk and period before your domain name) allows you to extend security to different subdomains based on your top-level domain name. Wildcard SSL Certificates include full organization validation, the Thawte Trusted Site Seal, free reissues and a 30-day money back guarantee. Thawte SSL Web Server Certificates With EV Thawte SSL Web Server Certificates with EV enable the most visible security indicator:The green address bar in high-security browsers, assuring users that your site is secure and your identity has been authenticated to the industry's highest standard. When customers see the green address bar and the Thawte Trusted Site Seal, they gain the confidence to complete their transaction. SSL Web Server Certificates with EV include Extended Validation, the Thawte Trusted Site Seal, free reissues, and a 30-day money back guarantee.